Save your favourite recipes from anywhere (Pinterest, Facebook, Ricardo, etc..) for quick access. 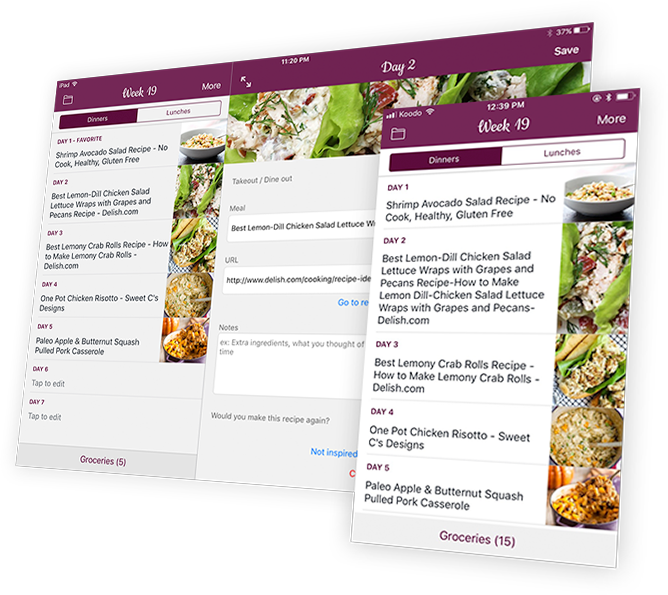 Plan your meals, once a week with all the recipes you have accumulated. While you plan, add groceries to your grocery list.